If Gutierrez is referring to legal immigrants who have become citizens, one wonders why they – people who have played by the rules – would be upset about people who broke the rules not being rewarded for their rule breaking. Rather, when Gutierrez speaks of “immigrants,” he more likely is including illegal aliens – if indeed he is not referring to them exclusively. He praised Illinois, for example, for being a sanctuary state for “immigrants.” Legal immigrants don’t need sanctuary protection from deportation. On another occasion, Gutierrez stated, “I have only one loyalty, and that’s to the immigrant community.” Thus, by his own statement, the Illinois congressman conceded that he is not a loyal American. And not being a patriotic citizen, Gutierrez – one can reasonably conclude – is probably not bothered by foreigners voting in our elections. Just how common is illegal alien voting? It’s hard to say, but it almost certainly happens to some degree. One likely case was the California U.S. House race in 1996 between incumbent and border control advocate Bob Dornan (R) and challenger Loretta Sanchez (D). Sanchez won, but Dornan charged voter fraud, specifically that foreigners had voted illegally. A subsequent investigation by the House determined that more than 600 votes were by noncitizens. Evidence suggested that the fraudulent toll was higher, enough to change the outcome of the election, but the House investigators did not follow up on this evidence. To prevent illegal aliens and other ineligible people from voting, various states have moved to enact laws requiring voter identification. Opponents of these laws, among them groups that commonly advocate on behalf of illegal aliens, maintain that this requirement discourages minority citizens from voting. They further maintain that such laws are unnecessary because, they allege, voter fraud is rare. President Obama cited two studies to substantiate this claim, but these studies have serious weaknesses, and proof is lacking that voter ID laws stop American minorities from going to the polls. 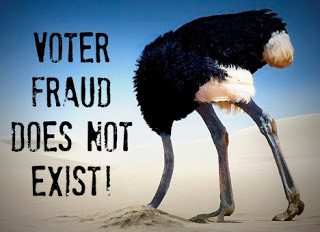 Much evidence indicates that voter registration around the country is sufficiently lax to allow substantial fraud, including voting by illegal aliens. One study, for example, found that 308,000 voters registered in Virginia were also registered in other states. Aside from the issue of fraud, the mere presence of illegal aliens is diluting the votes of citizens in some states. Because congressional districts are apportioned on the basis of total population, rather than the population of citizens, states with relatively small numbers of illegal aliens will have less representation in the House than those with large populations. Illegal alien advocates reject the idea that apportionment should be on the number of citizens, just as they resist protection against voter fraud. Their stance shows how little they care protecting the voting rights of Americans.